Mutations in mitochondrial DNA (mtDNA) have been an essential cause of numerous diseases, making their identification critically important. The majority of mtDNA screening techniques require polymerase chain reaction (PCR) amplification, enzymatic digestion, and denaturation procedures, which are laborious and costly. 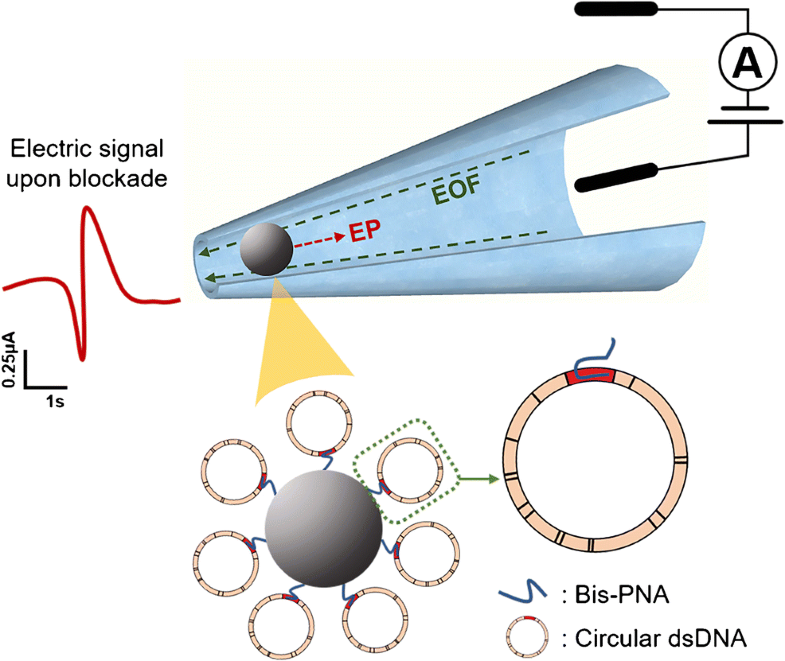 Herein, we developed a sensitive PCR-free electrokinetic-based sensor combined with a customized bis-peptide nucleic acid (bis-PNA) and gamma-PNA (γ-PNA) probes immobilized on beads, for the detection of mtDNA point mutations and sequence-specific supercoiled plasmid DNA at the picomolar range. The probes are capable of invading the double-stranded circular DNA and forming a stable triplex structure. Thus, this method can significantly reduce the sample preparation and omit the PCR amplification steps prior to sensing. 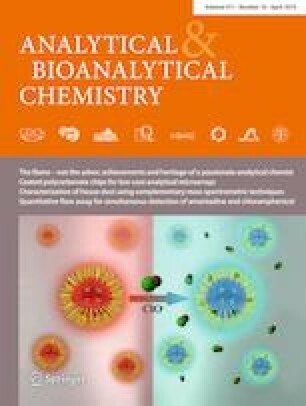 Further, this bioanalytical tool can open up a new paradigm in clinical settings for the screening of double-stranded circular nucleic acids with a single-base mismatch specificity in a rapid and sensitive manner. The authors thank Shiyu Luo from Dr. Huang’s group for the generous help on mitochondrial DNA preparation.